AWS Archives - VIRTUALIZATION IS LIFE! When Veeam Backup & Replication 9.5 Update 4 went Generally Available a couple of weeks ago I posted a What’s in it for Service Providers blog. In that post I briefly outlined all the new features and enhancements in Update 4 as it related to our Veeam Cloud and Service Providers. As mentioned each new major feature deserves it’s own seperate post. I’ve covered off three feature so far, and today i’m going to talk about two features that are more aligned to Managed Service Providers, but still could have a place in the pure IaaS world. The Cloud Mobility feature is actually the new umbrella name for our Restore to functionality. Prior to Update 4 we had the ability to Restore to Microsoft Azure only. With the release of Update 4 we have added the ability to Restore to Microsoft Azure Stack and Amazon EC2. It’s important to point out what Cloud Mobility isn’t…that is a disaster recovery feature set. in that you can’t rely on this feature in the same way that Cloud Connect Replication allows you to power on VM replicas on demand for DR. Though you could configure restore tasks to run on demand via PowerShell commands and have systems in a ready state after recovery it is difficult to attach an RPTO to the recovery process and therefore Cloud Mobility should be used for migrations and testing. In essence this is why it is called Cloud Mobility…to give users and Service Providers the flexibility to shift workloads from one platform to another with ease. Backups of EC2 instances created using N2WS Backup & Recovery for AWS (N2WS CPM). These backups, once stored in the Veeam Backup File format, ensures absolute portability of those workloads. In terms of restoring to EC2, the process is straight forward and can be done via the Backup & Replication console or via PowerShell. Again, the focus of this feature is to enable migrations and testing. However when put together with the External Repository, we also complete a loopback by way of having a way to restore EC2 instances that where initially backed up with N2WS Backup & Recovery and archived to an Amazon S3 Bucket. It should also be noted that to perform a recovery, only the most recent restore point can be used. 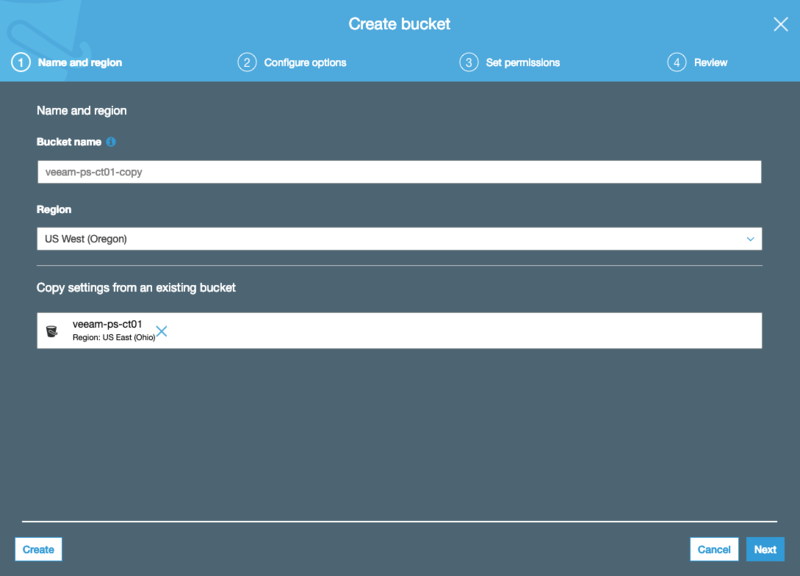 The External Repository allows you to add an Amazon S3 bucket that contain backups created by N2WS Backup & Recovery for AWS environments. Backup & Recovery for AWS will create backups of Elastic Block Stores disk volumes of EC2 instances. As part of the 2.4 release these backups where able to be placed directly to Amazon S3 object storage repositories. This is what is added to the Veeam Backup & Replication console as an External Repositories. 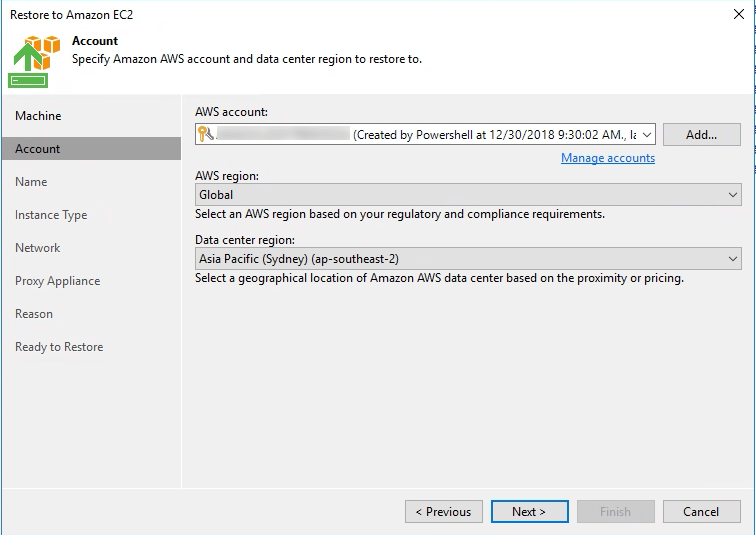 Backup & Recovery for AWS uses the Veeam Backup API to preserve the backup structure in the native Veeam format which are housed in the Amazon S3 Bucket as oVBKs. The External Repository cannot be used as a target for backup or backup copy jobs. Once the External Repository is configured, N2WS VMs can be manipulated through the Backup & Replication Console as per usual. 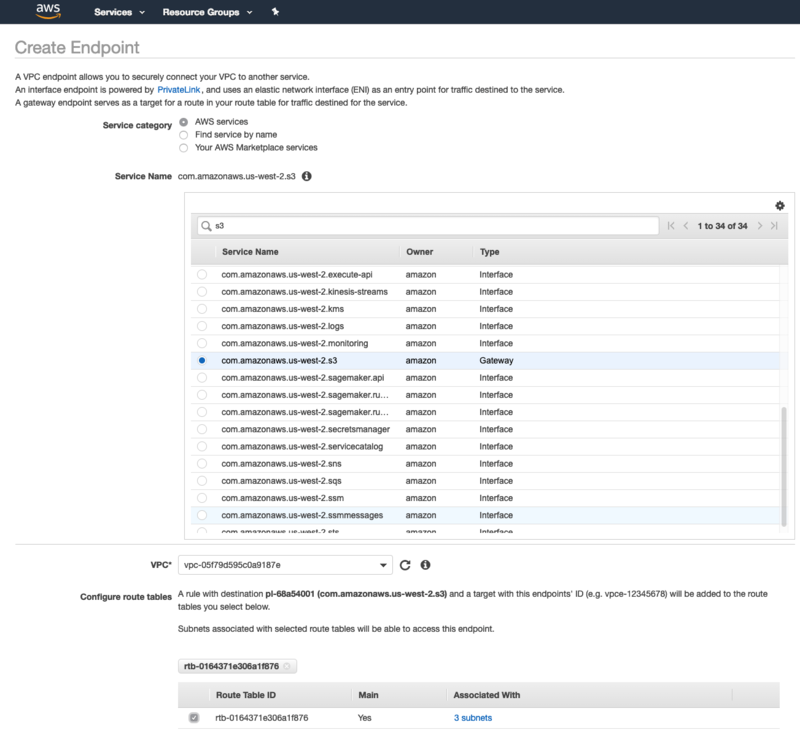 This allows all the restore capabilities including Restore to EC2 and also more importantly the ability to perform Backup Copy Jobs against the backed up data to enable even longer term retention outside of Amazon S3. The addition of Restore to EC2, Azure Stack and the External Repository can be used by manager service providers and service providers to offer true Cloud Mobility to their customers. Also, while a lot of organization are moving to the Public Cloud…this is not a fait accompli and they do sometimes want to get workloads out of those platforms and back on-premises or to Service Provider Clouds.. It shouldn’t be a Hotel California situation and with these new Update 4 features Veeam customers have more choice than other. We are entering interesting times in the cloud space! We should no longer be talking about the cloud as a destination and we shouldn’t be talking about how cloud can transform business…those days are over! We have entered the next level of adoption whereby the cloud as a delivery framework has become mainstream. You only have to look at what AWS announced last year at Re:Invent with its Outposts offering. The rise of automation and orchestration in mainstream IT also has meant that cloud can be consumed in a more structured and repeatable way. To that end…where does it leave traditional Service Providers who have for years offered Infrastructure as a Service as the core of their offerings? Last year I wrote a post on how the the VM shouldn’t be the base unit of measurement for cloud…and even with some of the happenings since then, I remain convinced that Service Providers can continue to exist and thrive through offering value around the VM construct. Backup and DR as a service remains core to this however and there is ample thirst out there in the market for customers wanting to consume services from cloud providers that are not the giant hyper-scalers. Almost all technology vendors are succumbing to the reality that they need to extend their own offering to include public cloud services. It is what the market is demanding…and it’s what the likes of AWS Azure, IBM and GCP are pushing for. The backup vendor space especially has had to extend technologies to consume public cloud services such as Amazon S3, Glacier or Azure Blob as targets for offsite backups. Veeam is upping the ante with our Update 4 release of Veeam Backup & Replication 9.5 which includes Cloud Tier to object storage and additional Direct Restore capabilities to Azure Stack and Amazon EC2. With these additional public cloud features, Service Providers have a right to feel somewhat under threat. However we have seen this before (Office 365 for Hosted Exchange as an example) and the direction that Service Providers need to take is to continue to develop offerings based on vendor technologies and continue to add value to the relationship that they have with their clients. I wrote a long time ago when VMware first announced vCloud Air that people tend to buy based on relationship…and there is no more trusted relationship than that of the Service Provider. With that, there is no doubting that clients will want to look at using a combination of services from a number of different providers. From where I stand, the days of clients going all in with one provider for all services are gone. This is an opportunity for Service Providers to be the broker. This isn’t a new concept and plenty of Service Providers have thought about how they themselves leverage the Public Cloud to not only augment their own backend services, but make them consumable for their clients via there own portals or systems. Networking is central this and the most successful Service Providers have already worked this out and offer a number of different networking services. It’s imperative that Service Providers offer a way for clients to go beyond their own networks and have the option to connect out to other cloud networks. Telco’s and other carriers have built amazing technology frameworks based on APIs to consume networking in ways that mean extending a network shouldn’t be thought of as a complex undertaking anymore. Backup, Replication and Recovery is something that Service Providers have offered for a long time now, however there is more and more completion in this area today in the form of built in protection at the application and hardware level. Where providers have traditionally excelled at is a the VM level. Again, that will remain the base unit of measurement for cloud moving forward, but Service Providers need to enhance their BaaS, R/DRaaS offerings for them to remain competitive. Leveraging public cloud to gain economies of scale is one way to enhance those offerings. Gateway Services are a great way to lock in customers. Gateway services are typically those which a low effort for both the Service Provider and client alike. Take the example of Veeam’s Cloud Connect Backup. It’s a simple service to setup at both ends and works without too much hassle…but there is power for the Service Provider in the data that’s being transferred into their network. From there auxiliary services can be offered such as recovery or other business continuity services. It also leads into discussions about Replication services which can be worked into the total service offering as well. Managed Services is the one thing that the hyper-scalers can’t match Service Providers in and it’s the one thing that will keep all Service Providers relevant. I’ve mentioned already the trusted advisor thought process in the sales cycle. This is all about continuing to offer value around great vendor technologies that aims to secure the Service Provider to client relationship. Developing a Channel is central to be able to scale without the need to add resources to the business. Again, the most successful Service Providers all have Channel/Partner program in place and it’s the best way to extend that managed service, trusted provider reach. I’ve seen a number of providers not able to execute on a successful channel play due to poor execution, however if done right it’s one way to extend that reach to more clients…staying relevant in the wake of the hyper-scalers. This isn’t a new Differentiate or Die!? message…it’s one of ensuring that Service Providers continue to evolve with the market and with industry expectation. That is the only way to thrive and survive! AWS Outposts and VMware…Hybridity Defined! Now that AWS re:Invent 2018 has well and truly passed…the biggest industry shift to come out of the event from my point of view was the fact that AWS are going full guns blazing into the on-premises world. With the announcement of AWS Outposts the long held belief that the public cloud is the panacea of all things became blurred. No one company has pushed such a hard cloud only message as AWS…no one company had the power to change the definition of what it is to run cloud services…AWS did that last week at re:Invent. Yes, Microsoft have had the Azure Stack concept for a number of years now, however they have not executed on the promise of that yet. Azure Stack is seen by many as a white elephant even though it’s now in the wild and (depending on who you talk to) doing relatively well in certain verticals. The point though is that even Microsoft did not have the power to make people truely believe that a combination of a public cloud and on premises platform was the path to hybridity. AWS is a Juggernaut and it’s my belief that they now have reached an inflection point in mindshare and can now dictate trends in our industry. They had enough power for VMware to partner with them so VMware could keep vSphere relevant in the cloud world. This resulted in VMware Cloud on AWS. It seems like AWS have realised that with this partnership in place, they can muscle their way into the on-premises/enterprise world that VMware have and still dominate…at this stage. The first definition as per the Oxford Dictionary fits the overall idea of AWS Outposts. Putting a compute platform in an isolated or remote branch office that is seperate to AWS regions while also offering the ability to consume that compute platform like it was an AWS region. This represents a legitimate use case for Outposts and can be seen as AWS fulling a gap in the market that is being craved for by shifting IT sentiment. The second definition is an interesting one when taken in the context of AWS and Amazon as a whole. They are big enough to be their own country and have certainly built up an empire over the last decade. All empires eventually crumble, however AWS is not going anywhere fast. This move does however indicate a shift in tactics and means that AWS can penetrate the on-premises market quicker to extend their empire. The third definition is also pertinent in context to what AWS are looking to achieve with Outposts. They are setting up camp and positioning themselves a long way from their traditional stronghold. However my feeling is that they are not guarding against an attack…they are the attack! Where does VMware fit in all this? Given my thoughts above…where does VMware fit into all this? At first when the announcement was made on stage I was confused. With Pat Gelsinger on stage next to Andy Jessy my first impression was that VMware had given in. Here was AWS announcing a direct competitive platform to on-premises vSphere installations. Not only that, but VMware had announced Project Dimension at VMworld a few months earlier which looked to be their own on-premises managed service offering…though the wording around that was for edge rather than on-premises. 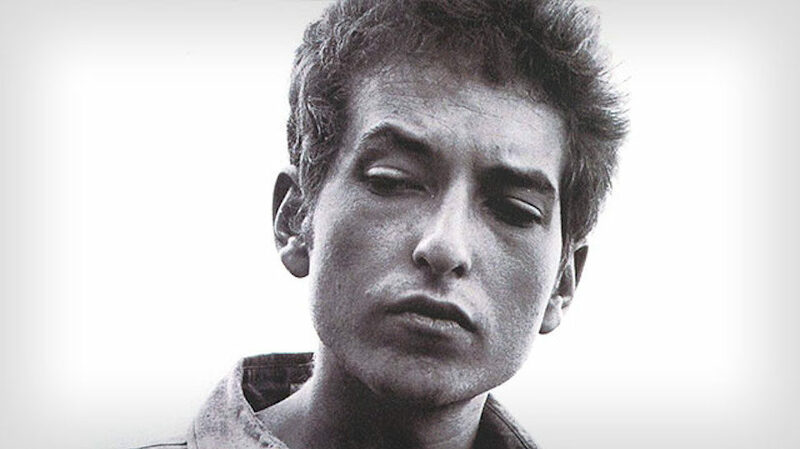 With the initial dust settled and after reading this blog post from William Lam, I came to understand the VMware play here. VMware and Amazon are expanding their partnership to deliver a new, as-a-service, on-premises offering that will include the full VMware SDDC stack (vSphere, NSX, vSAN) running on AWS Outposts, a fully managed and configurable server and network installation built with AWS-designed hardware. VMware Cloud in AWS Outposts is VMware’s new As-a-Service offering in partnership with AWS to run on AWS Outposts – it will leverage the innovations we’ve developed with Project Dimension and apply them on top of AWS Outposts. VMware Cloud on AWS Outposts will be a subscription-based service and will support existing VMware payment options. The reality is that on-premises environments are not going away any time soon but customers like the operating model of the cloud. More and more they don’t care about where infrastructure lives as long as a services outcome is achieved. Customers are after simplicity and cost efficiency. Outposts delivers all this by enabling convenience and choice…the choice to run VMware for traditional workloads using the familiar VMware SDDC stack all while having access to native AWS services. The big shift here from VMware that began with VMware Cloud on AWS is a shift towards managed services. A fundamental change in the mindset of the customer in the way in which they consume their infrastructure. Without needing to worry about the underlying platform, IT can focus on the applications and the availability of those applications. For VMware this means from the VM up…for AWS, this means from the platform up. VMware Cloud on AWS is a great example of this new managed services world, with VMware managing most of the traditional stack. VMware can now extend VMware Cloud on AWS to Outposts to boomerang the management of on-premises as well. Overall Outposts is a win win for both AWS and VMware…however proof will be in the execution and uptake. We won’t know how it all pans out until the product becomes available…apparently in the later half of 2019. IT admins have some contemplating to do as well…what does a shift to managed platforms mean for them? This is going to be an interesting ride as it pans out over the next twelve months! There was so much to take away from AWS re:Invent last week. In my opinion, having attended a lot of industry events over the past ten or so years, this years re:Invent has left the industry with a lot to think about it! AWS vigorously defended their position as the number one Public Cloud destination (in their eyes) while trying to lay a path for future growth by expanding into the true enterprise space. Also, with the announcement of Outposts set a path to try and dominate the hybrid world with an on-premises offering. Instead of writing down my extended thoughts it’s more consumable to hear Rick Vanover and myself talk about the event from a Veeam perspective in the short embedded video below. 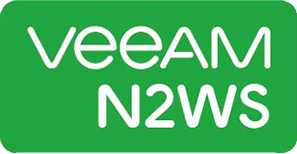 I’ve also embedded a video with David Hill and Sebastian Straub covering things from an N2WS perspective, as well as talk about the N2WS related announcements at re:Invent 2018. This week, myself and David Hill presented at AWS re:Invent 2018 around what at Veeam is offering by way of providing data protection and availability for native AWS workloads, VMware Cloud on AWS workloads and how we are leveraging AWS technologies to offer new features in the upcoming Update 4 release of Backup & Replication 9.5. For those that where not at AWS re:Invent this week or for those who could not attend the session on Wednesday, the video recording has been posted on the offical AWS YouTube page. I wanted to highlight the Cloud Tier section where I give an overview and quick deepdive into the smarts behind the new repository feature coming in Update 4. The live demo of me using our Patented Instant VM Recovery feature to bring up a VM with data residing in Amazon S3 is a great example of the power of this upcoming feature. Not only does it allow storage efficiencies locally but offloading old data to Object Storage for long term retention, but is also is intelligent enough to recover quickly and efficiently with its Intelligent Block Recovery. 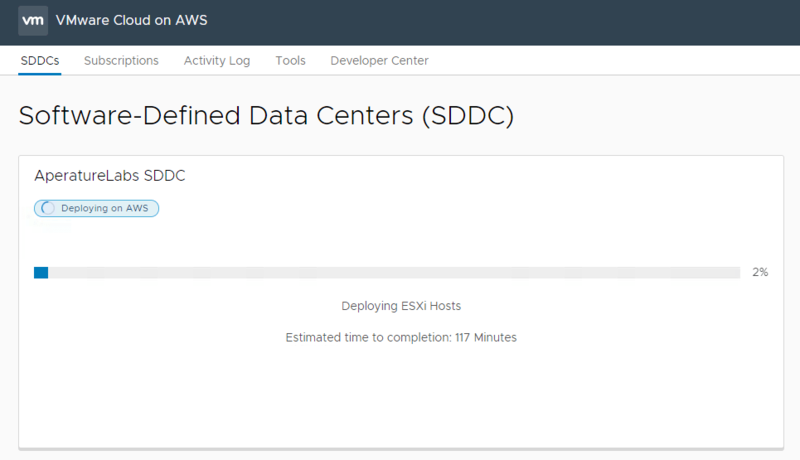 Yesterday I wrote about how to deploy a Single Host SDDC through the VMware Cloud on AWS web console. I mentioned some pre-requisites that where required in order for the deployment to be successful. 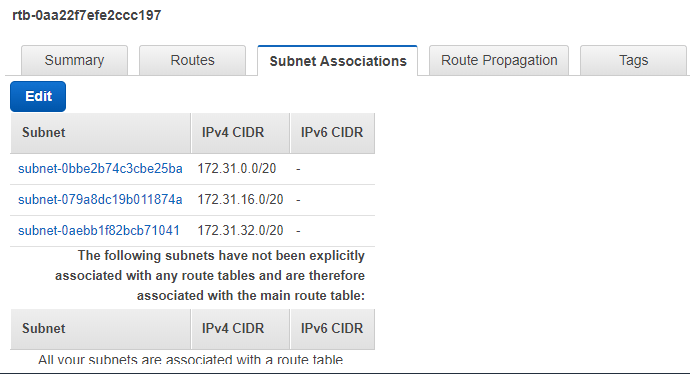 Part of those is to setup an AWS VPC up with networking in place so that the VMC components can be deployed. While it’s not too hard a task to perform through the AWS console, in the spirit of the work I’m doing around automation I have gotten this done via a Terraform plan. The max lifetime for a Single Instance deployment is 30 days from creation, but the reality is most people will/should be using this to test the waters and may only want to spin the SDDC up for a couple of hours a day, run some tests and then destroy it. That obviously has it’s disadvantages as well. The main one being that you have to start from scratch every time. Given the nature of the VMworld session around the automation and orchestration of Veeam and VMC, starting from scratch is not an issue however it was desirable to look for efficiencies during the re-deployment. For those looking to save time and automate parts of the deployment beyond the AWS VPC, there are a number of PowerShell code example and modules available that along with the Terraform plan, reduce the time to get a new SDDC firing. I’m using a combination of the above scripts to deploy a new SDDC once the AWS VPC has been created. The first one actually deploys the SDDC through PowerShell while the second one is a module that allows some interactivity via commandlets to do things such as export and import Firewall rules. [Note] Even for the Single Instance Node SDDC it will take about 120 minutes to deploy…so that needs to be factored in in terms of the window to work on the instance.